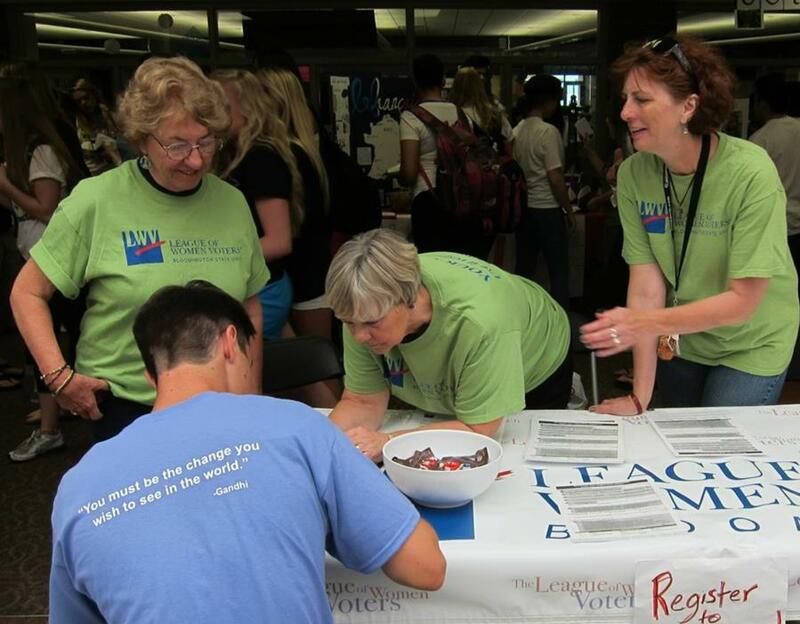 Volunteering is an important part of the Bloomington League of Women Voters. 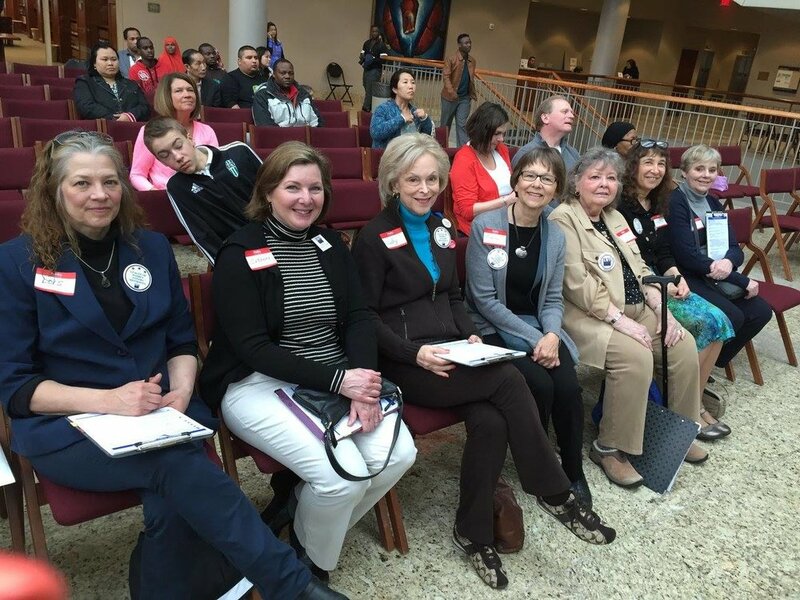 Our activity ranges from making and serving meals at Cornerstone, to registering new voters at city high schools and colleges, to helping out at new citizen ceremonies. We have done collections for local shelters, mentored high school students, and shared voting information with attendees at the annual Bloomington Heritage Days Festival. To join one of our standing committees or to suggest new league volunteer efforts, please let us know on our Interest and Activity Forum below.